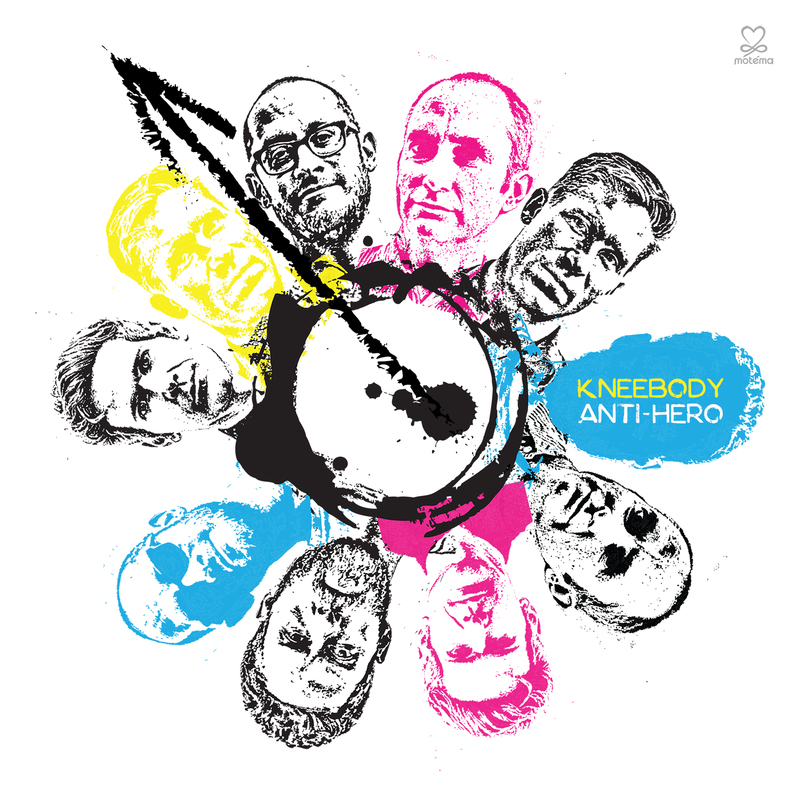 Sixteen years in and the genre-bending electric jazz collective Kneebody is stronger than ever. On the heels of their recent groundbreaking collaboration with electronic musician Daedelus, the band returned to the studio refreshed and armed with a slate of road-tested tunes for their ninth studio album. 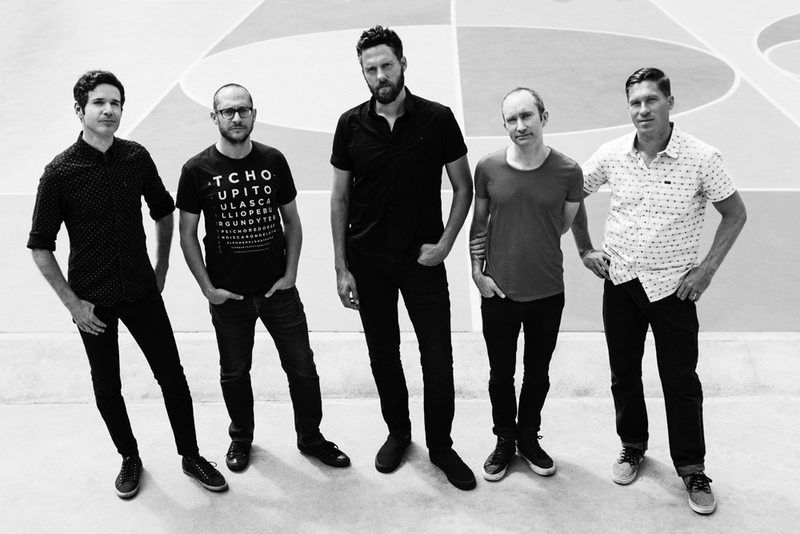 Kneebody makes their Motéma Music debut on March 3 with the release of Anti-Hero, the pulsating result of that creative rebirth, featuring an assured set of churning backbeats and unrestrained exploration. 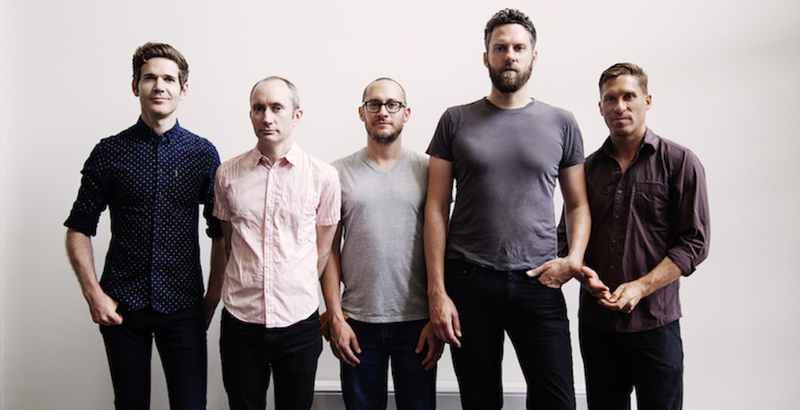 When Kneebody first convened in the year 2001, they were five twenty-somethings gigging around Los Angeles’ vast pockets of nightlife. 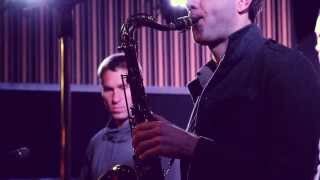 Trumpeter Shane Endsley and saxophonist Ben Wendel formed the frontline, telepathic and complimentary, while keyboardist Adam Benjamin, bassist Kaveh Rastegar and drummer Nate Wood formed the rhythm section. 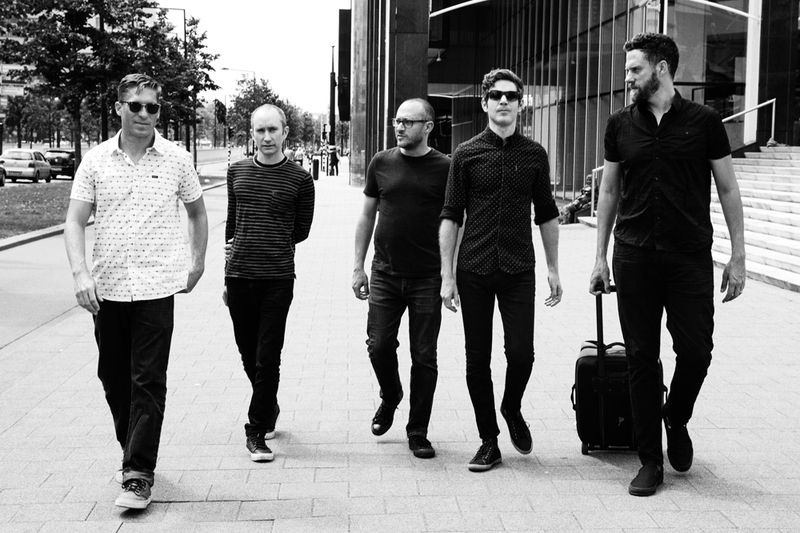 These five artists, all bandleaders in their own right, have become first-call musicians not only for their jazz contemporaries, but also for mainstream icons such as John Legend, De La Soul, Snoop Dogg and Pearl Jam to name a few. 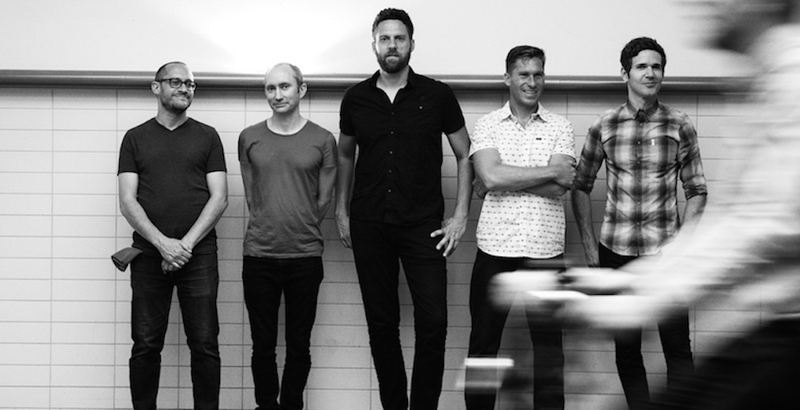 Yet throughout the years, Kneebody has always remained their artistic home. It is the goal of the band to not be confined to any genre. Though they exist in an instrumental jazz world, their influences and abilities cover an enormous swath of genres from chamber pop to hard-driving electronic-based productions. The band opens with the ethereal “For The Fallen” composed by Endsley. The spiraling meditation is ominous. Endsley and Wendel weave in and out over Benjamin’s humming keyboards, never getting too comfortable, while Wood supplies a pounding backbeat for the self-titled track. Inspired by the expanding outlets for protest and specifically the 2014 battle for net neutrality, Endsley wrote the tune with a sense of empowerment. “There’s this revolution in this age that can come from our living rooms. You can launch an uprising from a coffee shop,” he marvels. Wendel’s “Drum Battle”, which originally appeared on the band’s 2015 Daedelus collaboration Kneedelus, is a high-energy workout understandably powered by Wood’s hard-rocking kit. Benjamin takes a soaring solo on the tune that bends in and out of centuries, conjuring an electric squall squarely in the here and now. A majority of the material on this record was honed on the road in the last few years. The band takes pride in adhering to the spontaneity of never repeating a take. Months of road-testing tunes results in a very focused mission for the band but the studio as instrument has its charms too. Endsley’s “The Balloonist” is one of those studio experiments. “It has kind of an irreverent, brat-rock punky beat. It’s above the earth. There is a heaviness but it also has a bouncy lightness to it.” Benjamin’s humming keyboards help that process with Rastegar and Wood in choppy synchronicity on the brisk rocker. Two of Rastegar’s contributions are tributes to musicians gone far too soon. “For Mikie Lee” is a tribute to Bay Area musician Mikie Lee Prasad, a triumphant mid-tempo tune that moves with grungy deliberation. Both Wendel and Endsley heighten the performance with soaring confessions amid the pounding rhythm section. “Profar,” Benjamin’s nod to West Indies baseball player Jurickson Profar, grooves with life. “It’s a dense, through-composed piece that’s almost like an etude or a chamber music piece,” says Benjamin. “Usually in our set list and our live shows, we like to have a balance of music that is dense versus music that is very open. We like to improvise with structures in a jazz tradition.” Both horns shine with bright solos that ride over Wood’s sly tambourine and a plucky chicken scratch groove. “Yes You” is a frenetic feature for Wendel, highlighting his deft chops and endless string of ideas and motion. The live element pervades with the sound of a band deep into a conversation that only they can control. They flutter like a flock of birds, plugged in and unafraid of hard turns on sharp corners.